Wine needs to breathe. Red wine which has been allowed to breathe tastes better because as wine breathes, it opens up and releases its intended aromas and flavors. Traditionally, decanters were used to aerate wine. However, decanting can be time consuming, cumbersome and inconvenient. 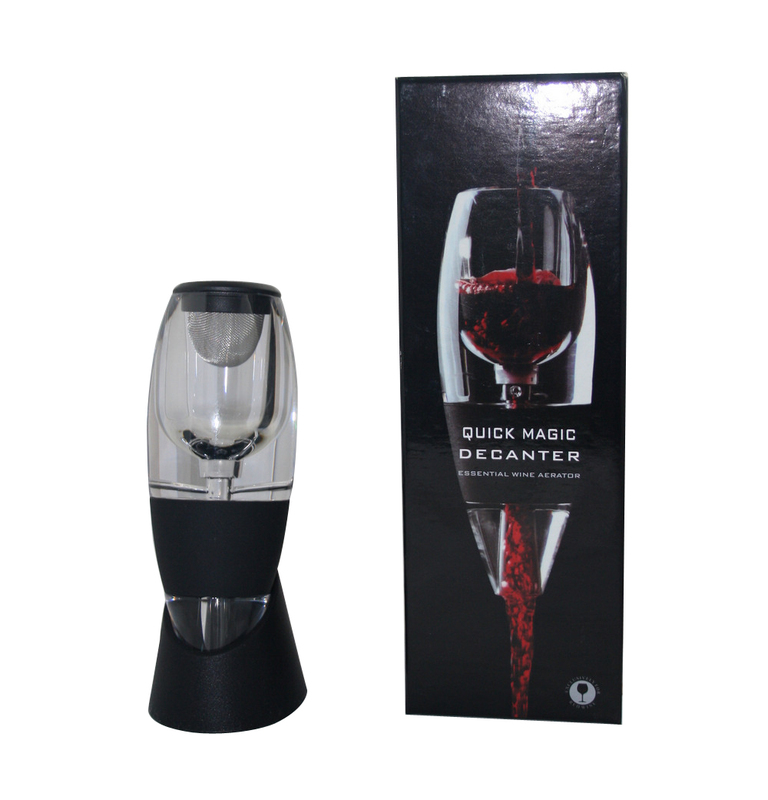 Magic Decanter's design speeds up this process with ease and convenience – perfect aeration can be achieved in the time it takes to pour a glass. ALL THE TASTE WITH NONE OF THE WAIT. Simply hold the Magic Decanter over a glass and pour wine through. 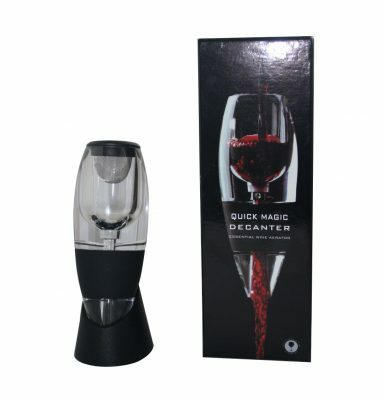 Magic Decanter draws in and mixes the proper amount of air for the right amount of time, allowing your wine to breathe instantly. You'll notice a better bouquet, enhanced flavors and smoother finish. IT'S THAT FAST…IT'S THAT EASY.